Ugh!!!! Thanks for all the updates. Damn. I wish I was there. Can someone provide the score periodically? I’m on a plane and can’t stream it. The Luectefeld's come to mind. Thanks. I am in west county. I just turned it on and noticed the football game it was showing was an ASN broadcast, which I took as a good sign. I guess I'll just need to keep my tablet ready for ESPN3 as a backup. I have one TV on an antenna. I do not have a 30.2. But I have a 70.2 that is called GetTV, the name of the station I was told I would find the game. Does anyone know if I'll be able to see the game on 70.2? Any online streaming of tonight's game at SIUC? I can't make the trip tonight. Any free streams available online? You want a top 20 team? I think a really important question was asked in this thread that no one has answered. Is there a coach alive that would come to SLU that would guaranty SLU would be a Top 20 program? Even if you take the budget considerations out the equation, I still say the answer is "no". There are probably only a dozen or less truly elite coaches in college basketball that I believe would succeed anywhere (Izzo, K, Williams, Self, Pitino, Donovan, etc.). None of those coaches is leaving there current job to come to SLU, regardless of money. So then you look at other existing head coaches that are just outside that elite status. This list is huge, so I won't begin to name them all. If these coaches are in a BCS conference and not elite, I would question "why aren't they elite with the resources they have available to them?". Would their level of success be the same or worse at SLU where they are not in a BCS conference and don't have the resources a football program brings to an athletic department? I'm not saying none of these coaches could win at SLU, but I think these are real concerns that need to be considered. And that is assuming you could even get them to leave to come to SLU. Then you have the coaches having great success at smaller programs. Frankly, this list is more promising that the BCS coaches. But it is certainly not without risk. Every year there are coaches that turn Cinderella runs into a better job at a bigger school. For every one of those that ends up being considered a "good hire", there is another one that is fired within 3-4 years. That is not great odds. Lastly, you look at the hot young assistants. I admittedly don't have the statistics to back this up, but how many of those would you estimate actually work out? 25%? Maybe. How many Top 20 programs have you seen hire a Top Assistant (unless it's from their own program)? Not very many. To me, this is the biggest gamble you can take. None of this is to say you don't look for the right fit in each of these groups. Absolutely, you should look. But there are no guaranties. So where does Crews fit into these groups. I would put him somewhere between the BCS coaches that are not elite and the successful small program coaches. I think we all questioned some of his game plans and in-game coaching at times this year, but that can probably be said of almost every coach in the country. I think the bigger concern is can he recruit. And none of us now the answer to that. His track record in recruiting raises questions, no doubt. But for him, SLU would be the best school he has ever had the opportunity to recruit to. He has never been at a program with this high quality of facilities, with this high of the current state and profile of the program. We are right to question his recruiting abilities, but this program is set up for a even a mediocre recruiter to do pretty well. So is Crews the right man for the job? I don't know. I think we are set up to have another great year next year if the same system is in place. If a new coach changes the system, it with probably just be an OK year until he can get his guys into school. I believe Crews will keep Majerus' system in place with only minor tweaks. With that, we should be able to finish at the top of the A10 again next year and make a 3rd consecutive trip to the NCAAs. Again, another step to stabilizing the program as a winner and helping to bring in new recruits. Some have said Crews is the low risk hire and they want SLU to be more aggressive. I disagree. 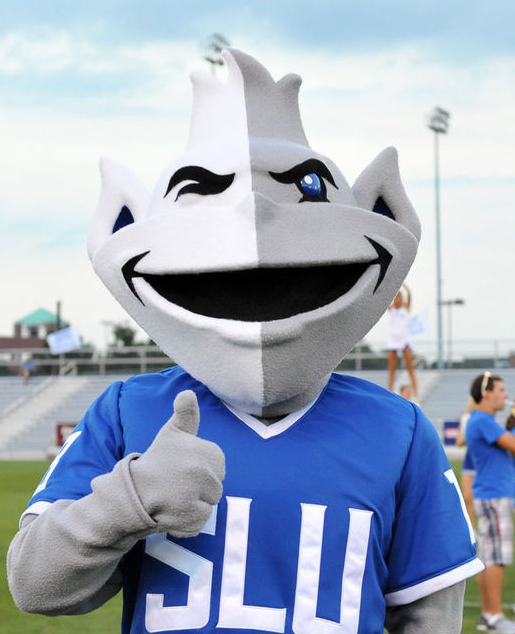 I think this may be a rare point in Billiken history where keeping as close to the the status quo is the right decision. So, maybe you keep Crews but give him the budget to hire a top notch coaching staff. Just my humble opinion. Now feel free to rip me to shreds. I agree with Westy. Why do some people think Harriman is ready for a head coaching job? By all accounts he is a great guy. He was key to recruiting Ellis (hit), Loe (hit) and Salicich (miss). To me, he is a hired gun to bring in players from that part of the world. We don't know if he is capable of more than that. Much less be a head coach. Amen. This is one of the few sensible posts I have read on here recently. I called today and was told they were mailed on Friday. Joe Ahearn said everyone who placed an order is receiving tickets. Don't get too excited...yet. I do think he is the real deal, but he is going to have a hard time getting on the floor this season. There are only so many minutes at the guard spot and I don't see Kwa or MM losing many minutes. And from several accounts I have heard, JJ has shown the most improvement over last year, so his minutes are also unlikely to drop. The good news is that KC slides right into the rotation at guard to replace Kwa after this season. On a side note, May was not concerned about anyone leaving over RMs health issues. There was initial concern about the frosh, but May indicated they took it in stride.